Perfect for our warm environment! From Purchaser of North East, Pennsylvania on 7/9/2018 . These are a good quality vest! The breathable mesh is perfect for our warm environment. We like the reflective stripes for better visibility. Price was good. Delivery was quick. From stbob of 07020, New Jersey on 7/8/2018 . From Dennis Maxwell of Clanton, Alabama on 11/21/2017 . Only comments I have gotten are that the breast pocket needs to be larger for cell phones and it needs a mic clip attachment near the left shoulder. Otherwise, a very nice vest. From Frane Sosic of Long Beach, California on 9/21/2017 . Owl Safety makes the best safety vests hands-down. For the price, the quality, design, workmanship, and durability simply cannot be beat. I have owned 7-8 of these now not because they fall apart, quite the contrary, because I wanted to own them in every color they offer. 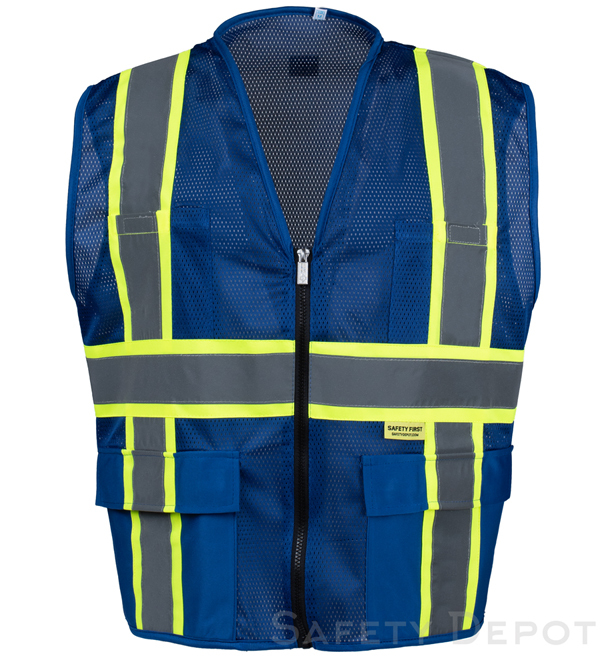 A+ safety vest both the mesh and solid versions. You will not be disappointed!